Once you make up your mind to sow the Gospel, the enemy will find ways to discourage and distract you. One moment, you feel empowered – ready to conquer the digital world, and the next moment, you are overwhelmed. You feel small and wonder if it’s possible for God to work through your blog post, podcast, or article. You begin to compare the success of your work with others online, and the feeling of inadequacy is almost unbearable. A prayer partner reminds you that there are others fighting with you. In ministry, there are moments when I feel that the work I do means little. One day when that sense of inadequacy was particularly strong, I had a work-related call with an online missionary. What started out as a discussion about logistics, turned into a moment of sharing challenges we were facing and praying for each other. By the end of the conversation, we were assured that God was with us and we found new grace and strength to keep at it. In 1 Kings 19, Elijah exclaimed, “I alone am left.” However, God later assured him that there were thousands who were still faithful to Him. God then instructed him to partner with Elisha in ministry. A prayer partner serves as back up. As a missionary, you’re a soldier of Christ (2 Tim. 2:3). In battle, many times you will need others to cover you. Having someone to partner with you in prayer provides spiritual ammunition when you are running low. They can help you call on God for more grace and strength to deal with the situation at hand. Moses, a powerful servant of God who was able to work one of the mightiest miracles in the Bible, needed help to hold his arms up (Ex. 17:12) during the battle with the Amalekites. Like Moses, we will need others to help hold our arms up in ministry. A prayer partner understands what you are experiencing. In a struggle, it helps to have someone who understands your experience. God knew how important it was to have a Savior who could sympathize with humans (Heb. 4:15) and so Jesus came as a human who had feelings and emotions. A dedicated prayer partner is one who is willing to sympathize with you, understand what you are going through, and intercede for you and your ministry. When you partner with someone in prayer, you are willing to put self aside and bring the person before God in prayer. Even if an individual cannot completely understand your experience, prayer draws us closer together and makes us one in mind and heart. A prayer partner helps you refocus on the mission. As I mentioned earlier, the enemy will find various ways to distract you. Distractions can come in the form of people, ads online, a financial crisis – the list is endless. Your focus can also drift as you search for information on how to be more effective in your ministry. Before you know it, you’re being led down an endless rabbit hole, branching off in a thousand directions. Taking the time to pray with your partner is like setting a drifting boat back on course. God has a way of speaking through people to remind us of our duties and obligations when we lose focus. So, whether you feel lost and don’t know what your purpose is anymore, God can work through your prayer partner to help you refocus. Now that we’ve covered how a prayer partner can help you, it’s time to ask God to lead you to someone who is willing to use the weapon of prayer with you. Ask the Holy Spirit to give you guidance and lead you to a prayer partner who has a passion for soul-winning and can stand in the gap for you. 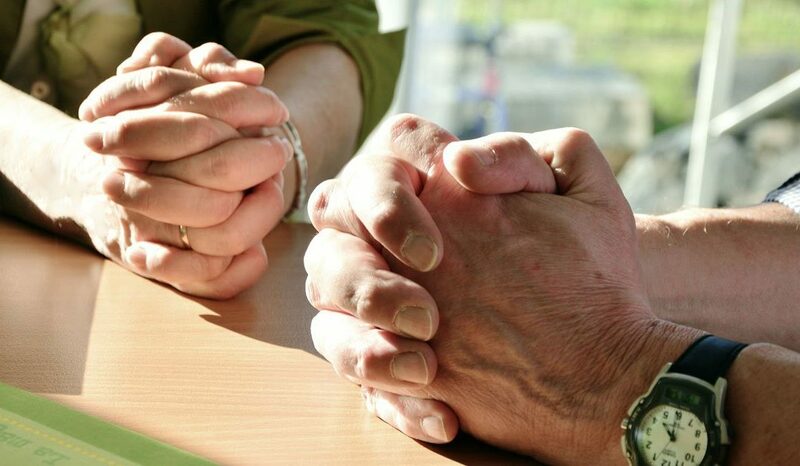 What has your experience been like praying with someone? Share on our Facebook page.